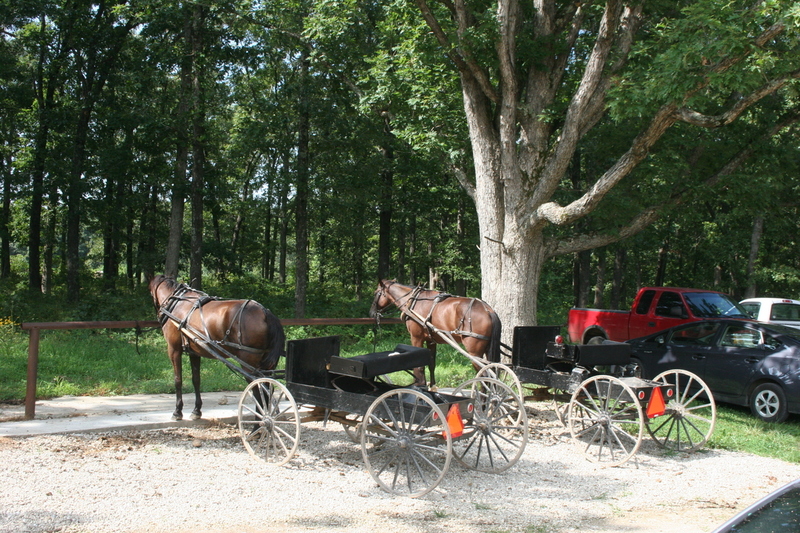 Every Friday (during the growing season) in a community near my home there is an Amish produce auction. 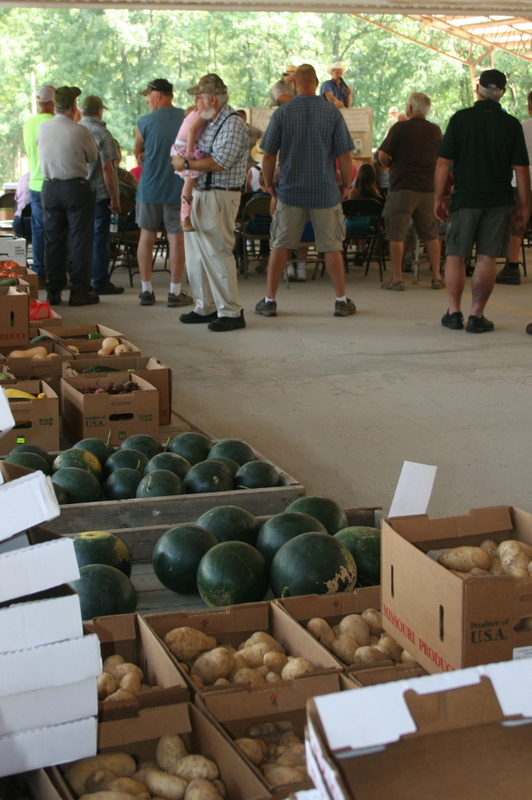 I visited last week and enjoyed seeing the fruit of the land: tomatoes, peppers, squash, watermelon, peaches and more. 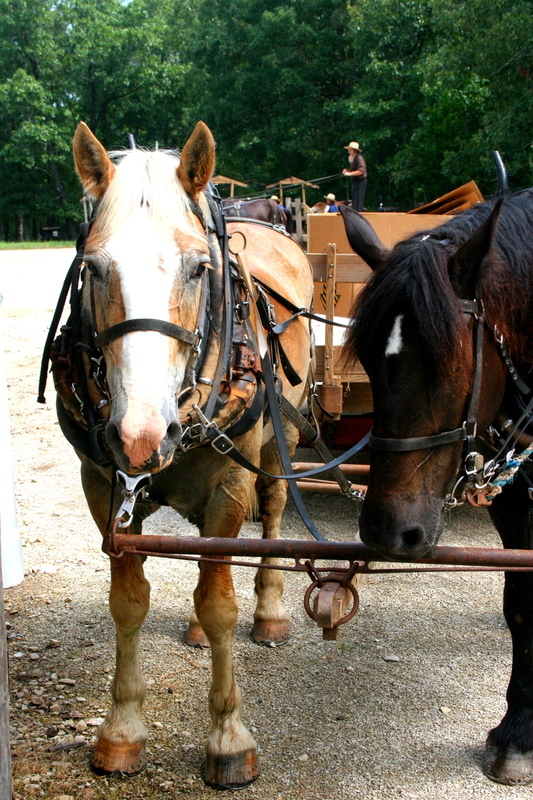 Good prices, friendly folk and a special experience. There are White Spots on my Peas! Uh Oh, it’s Powdery Mildew! The daytime temperatures are getting warm and it’s cool at night. It seems like the perfect scenario for great growing weather. Your peas are up and growing like a storm. What’s that on the leaves and pods? There are white fuzzy spots growing on my peas. Powdery Mildew strikes again!! 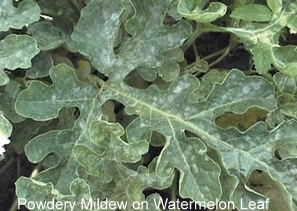 Powdery mildew is the most common occurring plant fungal disease. Its appearance, when first noticed, is characterized by spots or patches of white to grayish powdery growth on the upper surface of leaves and their stems. 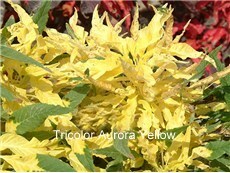 Foliage turns to yellow, leaves curl or turn brown. How does this happen? There are three requirements for disease to flourish. A host, the pathogen/disease and the right environmental conditions. 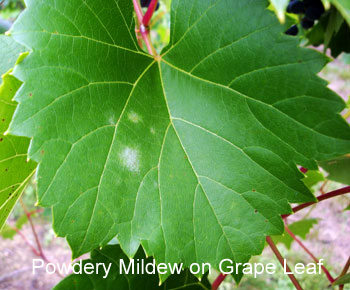 Powdery mildew (thin layers of fungal tissue on the surface of the leaf which produce spores) requires new and young living plant tissue to grow. The disease grows as mycelium (fungal tissue) on the surface of the affected plant as white patches where the spores are produced. Spores make up the white/gray powdery growth visible on the leaf surface. Spores of powdery mildew are carried by the wind, splashing rain drops and/or insects to new plant tissue. The spores can produce in 48 hours. Warm, humid days and cool nights are the perfect conditions for the fungus to grow. Moderate temperatures of 60° to 80° (F) are favorable temperatures for powdery mildew growth. Temperatures of 90° (F) and above inhibits the growth of the disease. High humidity for spore germination common in crowded plantings, where air circulation is poor and damp shaded areas invite this plant fungal disease. 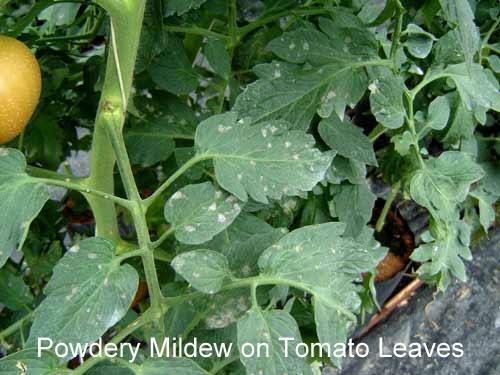 Crop debris and host weeds are important to the survival of powdery mildew. The spores of powdery mildew over winter attached to plant parts and plant debris. 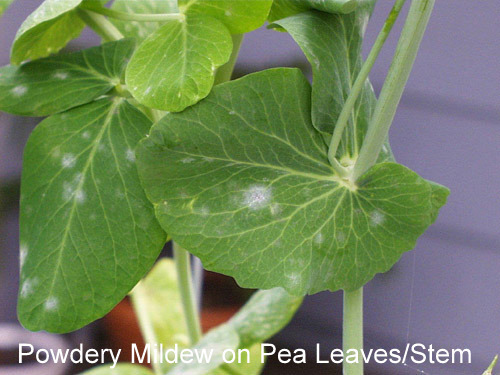 These are the common preemptive strategies to avoid/combat powdery mildew. Plant powdery mildew resistant varieties if available. Properly space plantings to allow good air circulation. If plants are overcrowded, prune to allow increased air circulation, reduce humidity and cross infection. Arrange your rows or beds east to west to eliminate shade possibility. Tallest plantings should be to the north. Avoid overhead watering. Best time to water is mid morning allowing the plants to completely dry. Stay out of the garden when wet!!! Otherwise, you become a carrier of the disease. Avoid the late summer application of nitrogen fertilizer (fish emulsion, composted poultry litter, ammonia nitrate, urea) which limits new growth the disease attacks. Remove ALL diseased plant parts and burn or bag and remove from property. If possible, remove diseased plant parts on a sunny, hot, wind free day. Spores are killed by heat and direct sunlight. In the absence of wind there is less of a chance for spore dispersal. Remove ALL plant material and plant debris (mulch included) in the fall. Survival rate of any overwintering fungal spores is decreased. DO NOT COMPOST ANY PLANT MATERIAL OR DEBRIS where this disease was active. When fungus pressure/threshold is too great you can pull all diseased plants or are there fungicides to use? The answer is YES!! Never apply when temperatures are 90° (F) or above or with drought stressed plants. Never apply an oil spray within two (2) weeks of a sulfur application as plants may be damaged. Never apply within two (2) weeks of an oil spray. Be careful when spraying squash and melons as there may be damage. 1 TBS Baking Soda, 1 tsp horticultural/dormant oil, 1 tsp insecticidal/liquid soap to 1 gallon of water. Spray every one to two weeks. Use sparingly to avoid sweetening (alkaline) the soil. Potassium Bicarbonate – Kaligreen® – contact fungicide killing spores of powdery mildew quickly. Approved for organic use. Follow label directions. Mouthwash – generic ethanol based – spray 1 part mouthwash to 3 parts water. Caution use on new foliage as it may be damaged. Vinegar – spray 2 -3 TBS apple cider vinegar (5% acetic acid) mixed with 1 gallon water. Milk – natural occurring compounds in milk attack the disease while improving the plants immune system. Spray 1 part milk to 2 parts water weekly. 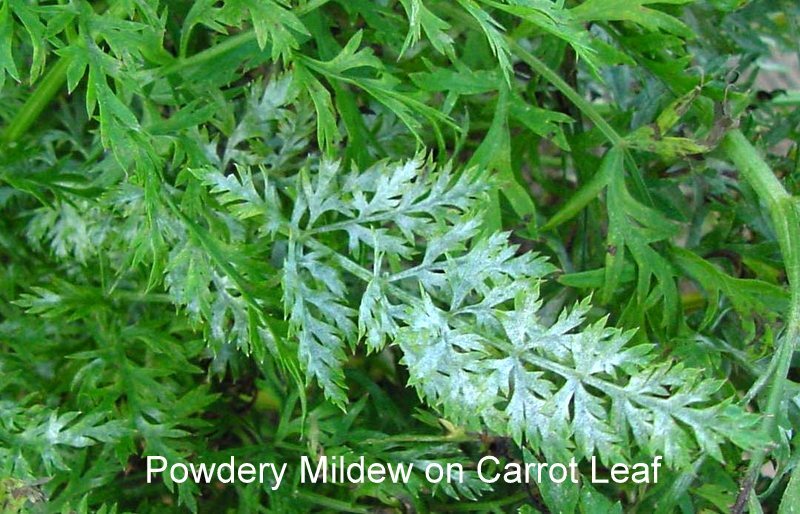 Active ingredient – Bacillus subtillis – prevents powdery mildew from infecting the plant. Follow label directions. 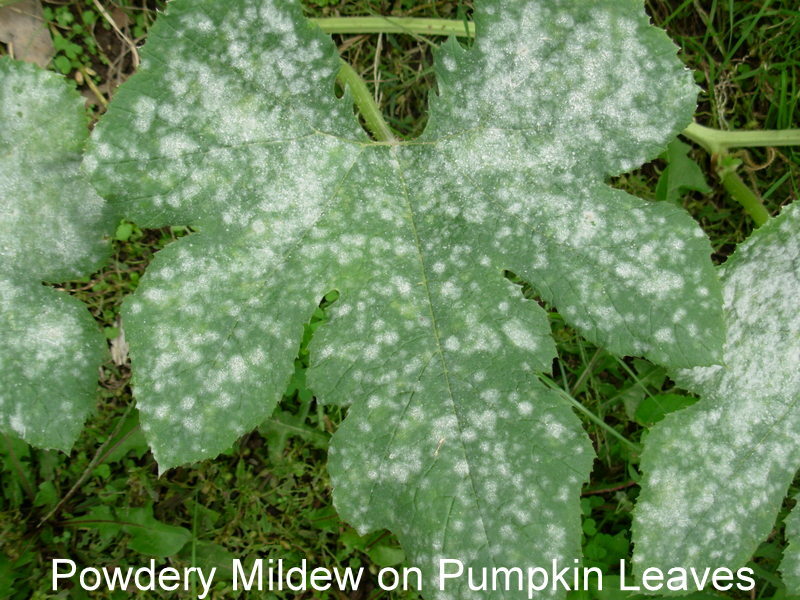 Here are a few examples of powdery mildew. Remember, fall clean-up is essential!! Be on your guard! 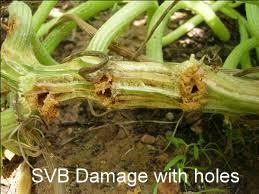 The Squash Vine Borer is your Enemy and Here’s How to Defeat Them. 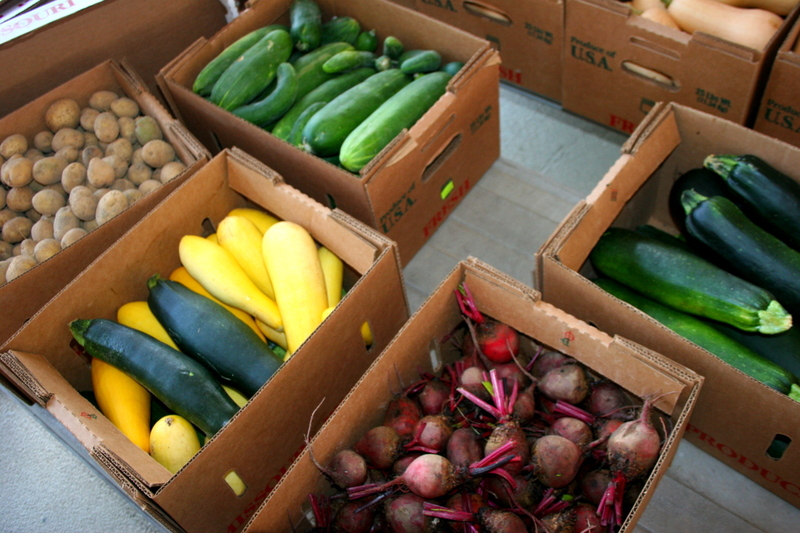 You’ve started your summer squash and zucchini. The plants look great! A couple of weeks later, the plants start to wilt and some die. What did I do wrong? After careful observation, you notice there is something that looks like wet sawdust at the base of the plant. Plus, you see small holes in the bottom stem. What is going on? 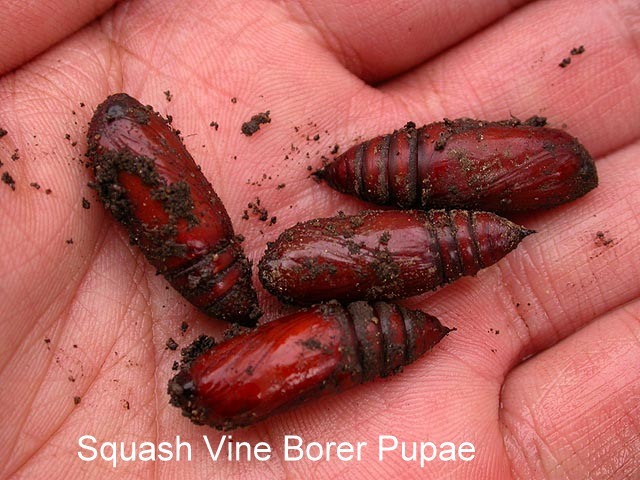 The female Squash Vine Borer moth (Melitta curcurbitae) lay brown eggs especially on the stems, just above the soil line. Eggs hatch in 10 days. Once the eggs hatch, they immediately enter the stem, leaving a small hole at the place of entry surrounded by frass (moist sawdust like debris). The larvae (white caterpillars with brown heads) bore into the stem and remain until maturity before pupation (the transformation of the larvae to a pupa(in a cocoon)). They will now stay in the soil (usually 1″-2″) and over winter . 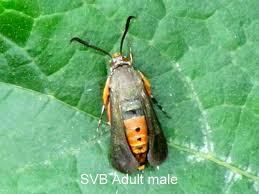 Squash Vine Borer moths emerge from the ground from early spring through mid-summer. The moth looks like a wasp and is a half inch long. The wings are clear and look like a windowpane. Unlike other moths, this one flies during the day and makes a buzzing sound. Now that you have identified the enemy, what are your weapons of warfare? A preemptive strategy would be to use a floating row cover (sheer, light weight fabric that is placed over a crop to protect from insects). It is secured in place to prevent insects from damaging the crop. The row cover is put on at the time of planting until the plants begin to flower. 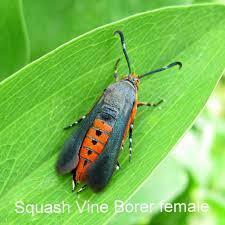 Squash crops require insect pollination. 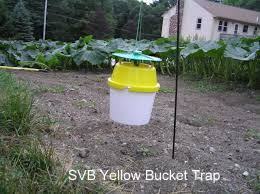 Monitor by using a yellow colored bucket trap with water, placed near the newly planted squash plants. The yellow color attracts the moths. Traps must be checked daily. Once you’ve found moths in the traps, start looking for stem damage. This indicates the female moth is out laying eggs. Create a barrier on the lower stem by using materials such as aluminum foil. Wrap the foil around the lower stem to confuse and prevent the moth from laying eggs. Plant a trap crop of early planted Hubbard squash three (3) weeks prior to planting your preferred squash crop. Use succession planting (weather permitting). Have fresh transplants ready to go. A late crop planted after SVB pressure may offer a harvest. Do not plant your late crop where there has been previous pressure from the SVB. Rotate your planting to an unaffected area. 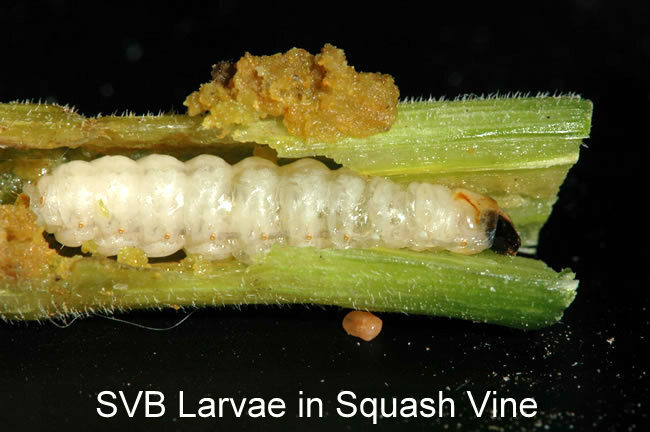 SVB resistant varieties of squash, such as Waltham Butternut, offer a solid stemmed variety to thwart the penetration of the larvae. Cucurbita moschata are their least favorite, as they are solid stemmed. Cucurbita pepo are their most favorite, as they are hollow stemmed. 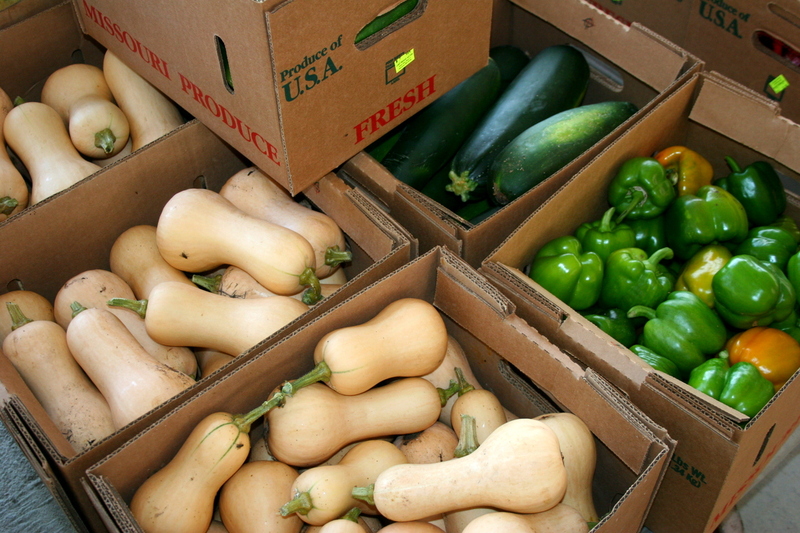 Seed catalogs will list this information for each squash seed offered. 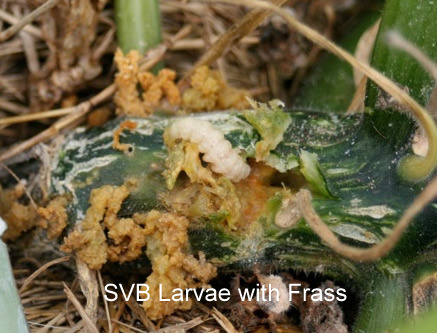 When a squash plant has been attacked by the squash vine borer, find the borer by looking for the frass or small holes with frass. Carefully slit open the stem and remove the caterpillar. Cover the wound with fresh soil or compost to encourage the re-rooting of the plant. Remove and destroy any plants that are severely wilted or dead immediately. Do not compost these plants!! Sanitation is key! 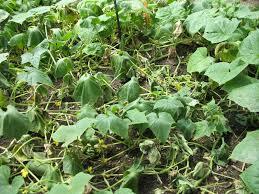 Immediately remove your squash vines after harvest. Do not compost!! Burn the vines or bag the vines and remove them from your property. The soil must be exposed to reveal the cocoons. 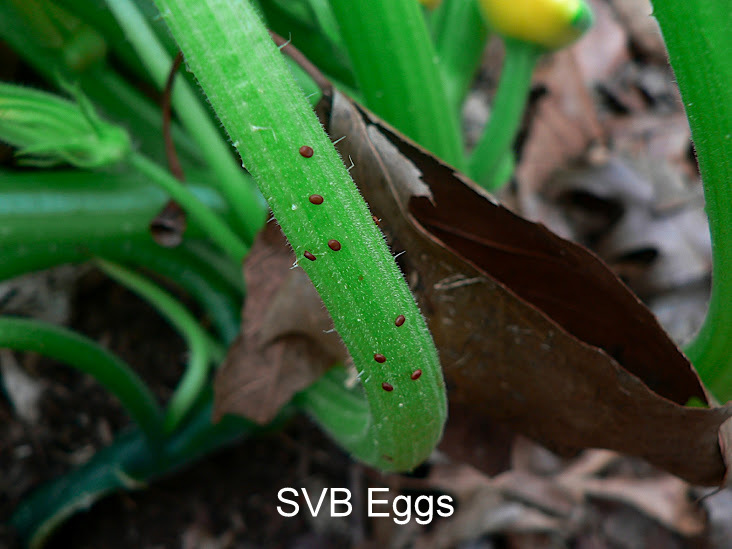 Till or fluff the soil up to 2″ to expose SVB cocoons. Songbirds and poultry delight in eating the pupae (cocoons). Always rotate your squash crop to another space each year. My strategy this year includes the Blue Hubbard trap crop and yellow trap buckets. Plus, I will preemptively spray the ground stems with a mixture of vegetable oil and Dipel (Bacillus thuringiensis). I’ll keep you updated throughout the summer. 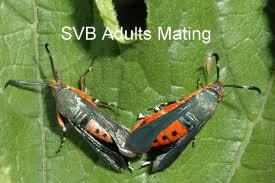 Cucumber Beetles Prefer “This” Over the Cucumber Vine! 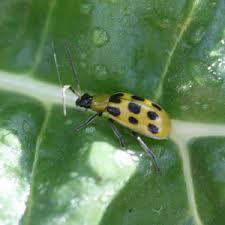 The Spotted and Striped Cucumber Beetle wreak havoc on cucumber, melon and squash (Cucurbits). Here is another great trap crop, Amaranth. One bite from these nefarious beetles and bacterial wilt enters the vines causing them to collapse and die. The vascular bundles (the nutrient transport system of the plant) get filled with bacteria and shut down the plant. Subsequently the plant will die. 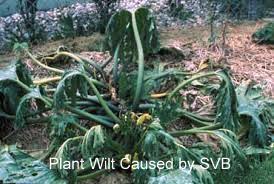 Plants with bacterial wilt must be pulled, burned or placed in a trash bag for removal. This plant material must not be composted. The first photo shows the effect of bacterial wilt. The second photo illustrates the bacteria expressed as gummy strings. In my experience, the best way to prevent bacterial wilt is the use of a specific trap crop. Two (2) years ago I discovered by observation cucumber beetles eating wild pigweed (amaranth). 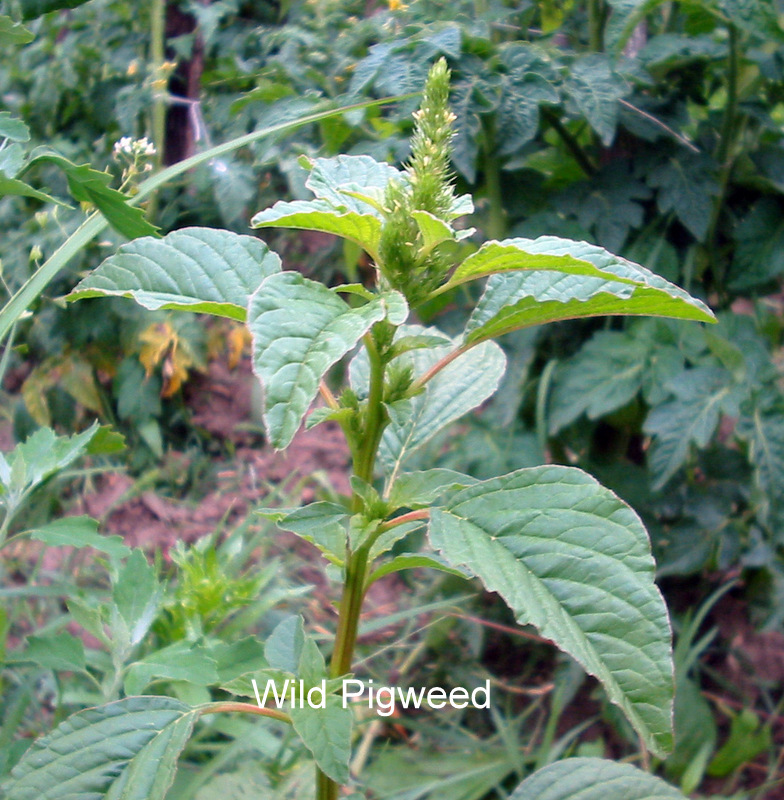 The wild pigweed was pressing against the leaves of a cucumber plant. There was no evidence of beetle infestation!! The beetles overwhelmingly preferred the wild pigweed. The same phenomenon may be seen on cultivated varieties of amaranth. 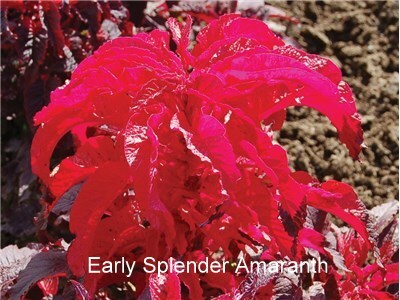 Baker Creek Heirloom Seed Company has several varieties of amaranth in their inventory – http://www.rareseeds.com/store/vegetables/amaranth/ Choose one or more varieties to entice the cucumber beetles away from you cucumbers, melons and squash . Plant amaranth next to a cucurbit crop to attract cucumber beetles as either a food source (pollen/nectar) or an egg/larval site. 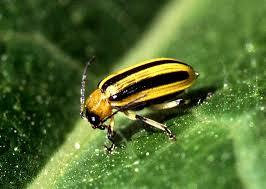 Amaranth/wild pigweed attract cucumber beetles to the border areas, where the amaranth/wild pigweed can be consumed. 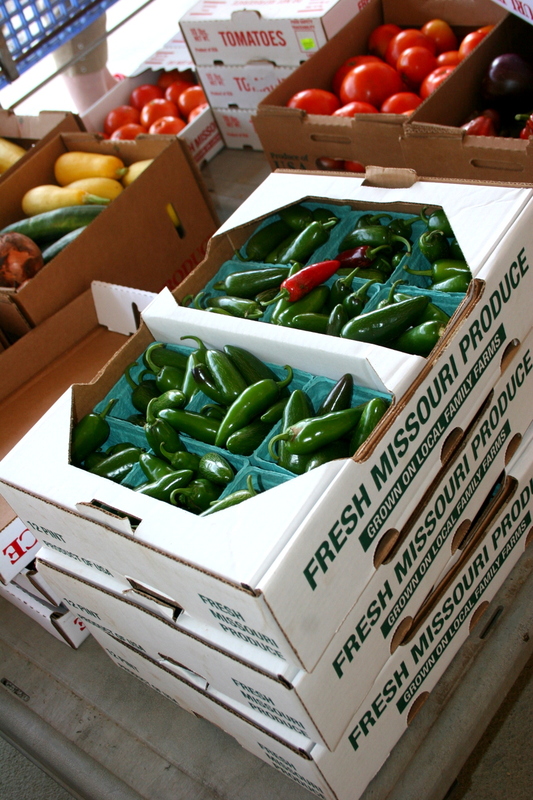 Pests on the cucurbit crop will be reduced. Plant cultivated varieties or wild amaranth transplants either surrounding, adjacent, at the four corners or in containers next to the crop. Exploit the cucumber beetles special appetite. Intercept the cucumber beetles from the edges. Plant cultivated varieties of amaranth or encourage wild amaranth in your garden/property (as a trap crop) three (3) weeks prior to planting summer squash, winter squash, cucumber, cantaloupe and watermelon . The amaranth may be seeded in pots for transplanting or direct seeded, prior to direct seeding squash, cucumber and melons. Amaranth grows fast enough to satisfy the cucumber beetles appetite. Disclaimer: Please use common sense and discretion regarding the use of wild types of amaranth (pigweed). It may be invasive in your area.